Here's a look at our first full days of training in Himeji, Japan. 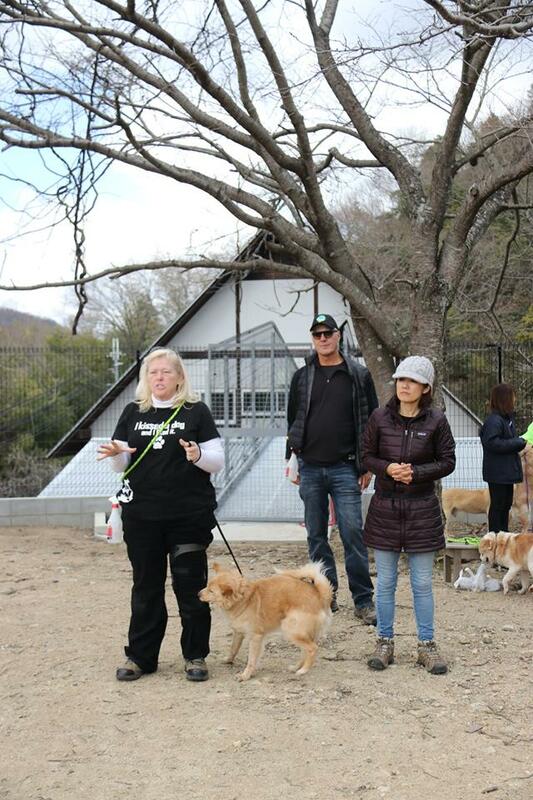 A fantastic group of students dedicated to improving the lives of dogs here in Japan, and an insightful day as to the differences, and similarities, between our cultures. Pictured above is one of two 'wild' dogs discovered on a remote island nearby. Although they were considered 'unsocial' towards other dogs, these two actually proved to be two of the most 'balanced' dogs at the facility. 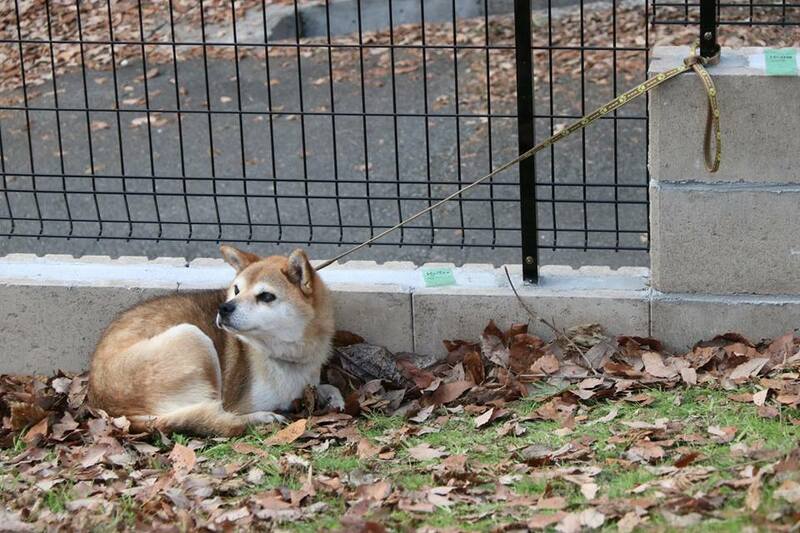 Culturally, Japan largely adopts the belief that no dog should be euthanized. A glaring contrast to our American culture wherein approximately 10,000 animals a day are euthanized for a variety of reasons. The contrast between our two cultures could not be more dynamic on this issue... and this is one case wherein a humane euthanasia may be more kind than cruel. Our photographer spent a great deal of time comforting and connecting to this old boy. Despite our 'language barrier', facial expressions are universal! 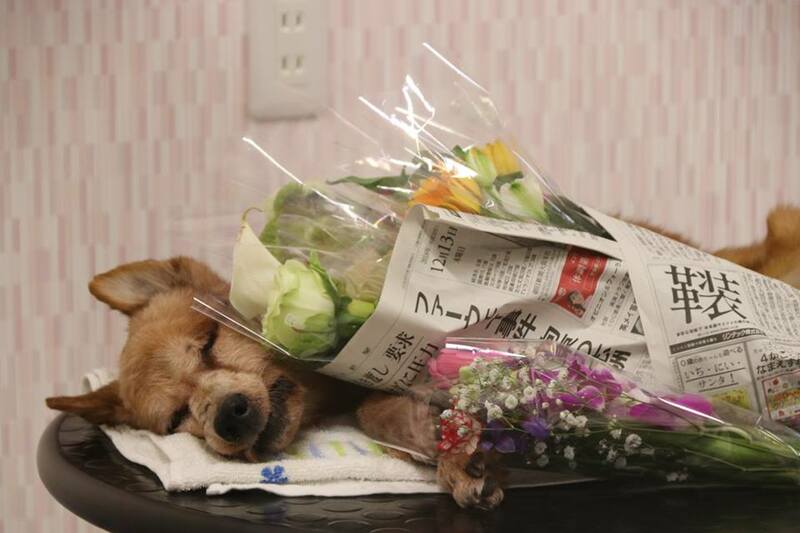 To an aging and blind dog such as this boy, the facility is a lifelong sanctuary, as adoption is unlikely. That being said, although the approach may currently be different from our own, the love and devotion from the staff and volunteers is genuine. Currently, a typical day for the dogs in this facility is to be tethered on a short tie out. The majority of their days have been spent in this fashion... UNTIL TODAY! Pack Play has been established, and the benefits seen immediately. Even the fearful white dog with her tail tucked came out of her shell and began to play with the others just out of reach on the cables. We arrived this morning and were immediately met with a scene we were unprepared for. This dear soul passed naturally overnight. 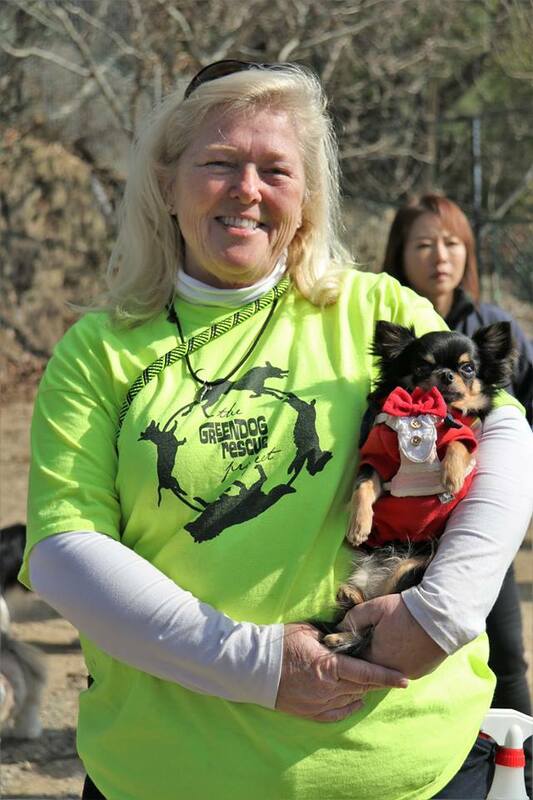 The sensitivity, compassion, and love shown here from the staff expresses their devotion to the dogs they care for. A stark contrast to some of the shelters in our own culture. "Soy Bean" appears to be praying for a new leash on life... and we hope to give that to him by arranging for his transport to the U.S. with us. Once 'home' with us, this playful boy will soon become available for adoption. 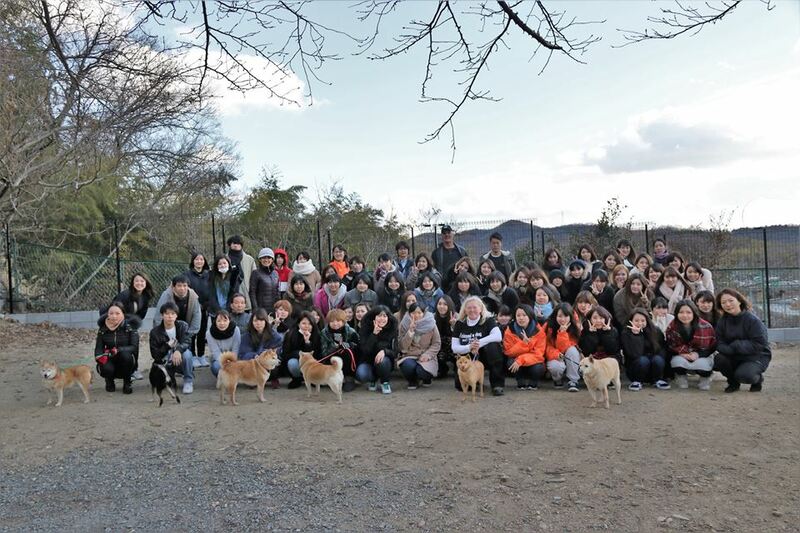 The end of day one, and the many students that will go forward to begin executing 'change' for the dogs of Japan. We are so grateful for this opportunity. The idea of a pack walk is not used here due to the fear of dogs fighting or somehow not getting along. Yuki here is showing how not only can the dogs walk together successfully, but they enjoy the added socialization of dogs together. The Alphas - This little dog, 3-lb Strawberry, was the most confident dog of our pack. She had it going on, strutting around like she owned the place. It's all in the attitude. Tim teaching that dogs can be walked together. These two poodles were dressed to succeed. These two were a big part of their family, treated almost like little babies to be carried everywhere. Although it took the entire day to convince mom to allow her fur babies feet to touch the ground, the daughter was a master! She was seen several times practicing good leadership skills and patience as her poodles learned the benefits of walking on their own four paws. In the afternoon we worked on less than desirable behaviors and what kinds of things can help change them. It was a long day for the pups too. This little guy really enjoyed barking, until he learned about water spray bottles and the joy of playing with other dogs. His frustration to stimulation such as bicycles and cars passing by was deterred with the use of a calming cap. This little guy was the ONLY dog present from the public this day that had been adopted!!! Here in Japan, it is easier to walk into any number of stores that have puppies for sale and purchase a puppy than it is to adopt, as it can take up to 3 mos. to adopt a dog from a shelter. In Hemeji, the Camfel shelter that we were at reports that they might have 30 adoptions PER YEAR. We are hoping to influence some change this process. Another of our participants, "Rain", a 7 month old Kai Inu. Another pupil who demonstrated an unhealthy dose of separation anxiety, fear of larger dogs, and a complete loss of ability to socialize with other dogs. As the day progressed, he became much more comfortable around the other dogs and was slowly able to separate from his owner... of course it did come at the price of peeing and pooping on our Director, who simply claimed to the embarrassed owner that she and the dog were now BONDED as dogs often express themselves through bodily fluids. A particularly nice hair style for this girl. She may look the part of a beauty, however her lack of manners towards delivery drivers, and many visitors has left her owner feeling at a complete loss as to what to do to curb her aggression. This was a particularly interesting case of how devoted we humans can become to our dogs... the overload of affection displayed from the human to the dog was a clear message to the dog that SHE was in charge. Time will tell if the owner is able to change that role and take control of her leadership opportunity here. Tim is explaining the use of a gentle leader to help in walking a dog uncomfortable with walking. This particular dogs confidence was non-existent, and she was completely 'shut down'. The gentle leader has allowed her owner to relax and lead... eventually the dog's tail began to raise to a comfortable level, and she was actually playing with some of the more confident dogs... power of the pack! A calming cap used here, which still allows the dog to see but cuts down on the amount of stimulus perceived by the dog. This helps settle a dog overwhelmed with how much is going on around them. Our second day folks with their pups.